The DI-2010 Duro Buffalo quad tyre is manufactured to perform! You can't help but notice the unique aggressive deep lug pattern and smooth high quality moulding. 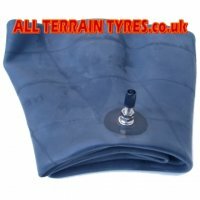 The tread has the combination of a modern paddle design alternating with rows of 3 large rectangular lugs which wrap right around the shoulder to give maximum bite in mud or snow. These lugs are deeper and heavier than the more expensive Kenda Bearlcaw, so this is definitely a replacement ATV tyre worth considering. The premium rubber compound is hard wearing and long lasting too. 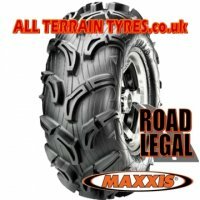 All sizes are 'E' marked so fully road legal for use on U.K. roads - despite the aggressive appearance of the Buffalo tyre, they still ride quite smoothly on hard trails or tarmac roads, but off-road is where they will excel.